Convert Anything to Anything in Your Cloud Storage with CloudConvert. Cloud Storage is now become very common for all Internet user. Many of us use cloud storage services to store our files safely or for sharing a file with friends and colleagues or just to share some files on Internet. A common use of cloud storage is to sync files between computer and mobile. Sometimes when you open any file in your smart phone and it just wouldn't open. This thing is very frustrating moment for you or for some reasons you want to convert any of your file that is stored on your cloud storage service. What You do to convert it? If you are downloading it and converting it so you are choosing a lengthy and very slow process. So what should you do, You can use online services to convert your cloud storage files. One of this services is CloudConvert. CloudConvert is very nice service that convert cloud storage files. CloudConvert offers 180 file format to convert. CloudConvert supports the conversion between more than 100 different audio, video, document, ebook, archive, image, spreadsheet and presentation formats. This is the reason why they tell "convert anything to anything"
At the time CloudConvert is in BETA version but it is working very well. 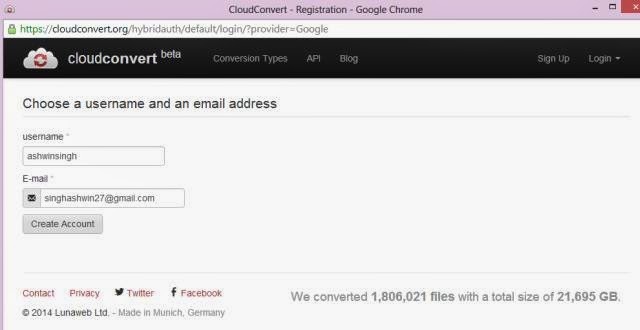 You can use CloudConvert only on Google Drive or Dropbox. CloudConvert is still only supporting Google drive and dropbox and not supporting One Drive(Sky Drive). You can also add Files from your Desktop or PC also and after converting it will upload the file in you Cloud Storage. How To Convert Cloud Storage files with CloudConvert. 1. Go to cloudconvert.org/ and choose files which you want to convert. 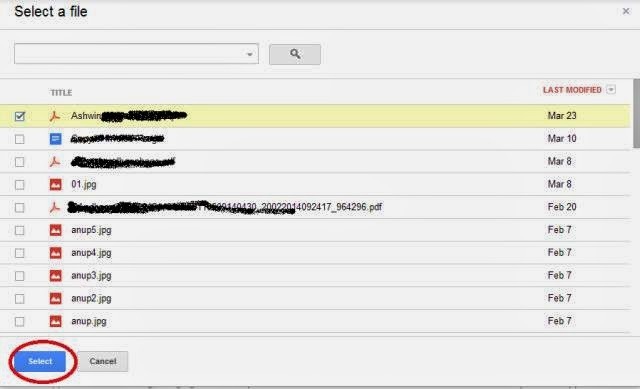 2.If you are using files from any Google Drive Or Dropbox allow it to access your files. When your conversion will complete Revoke the connection from cloud storage. 3. After this step it will ask you to create an account. Now you hhave done just download the file or upload it on your cloud storage. I was in reach of a good online resource on technology, after my friend’s recommendation I checked the site - www.onlinebackupmag.com and was really touched to see loads of stuff being published over it. Now I regularly visit this site and it suffices all my technological requirements over its different sections including HeatherR.